Advantech’s managed redundant industrial Ethernet switch allows users to expand their industrial networks fast and cost-effectively, while the rugged industrial-grade design assures reliability and stability. Our redundant Ethernet switch product lines support Fast Ethernet ports and Gigabit Combo ports and many advanced network standards to optimize your networking performance. 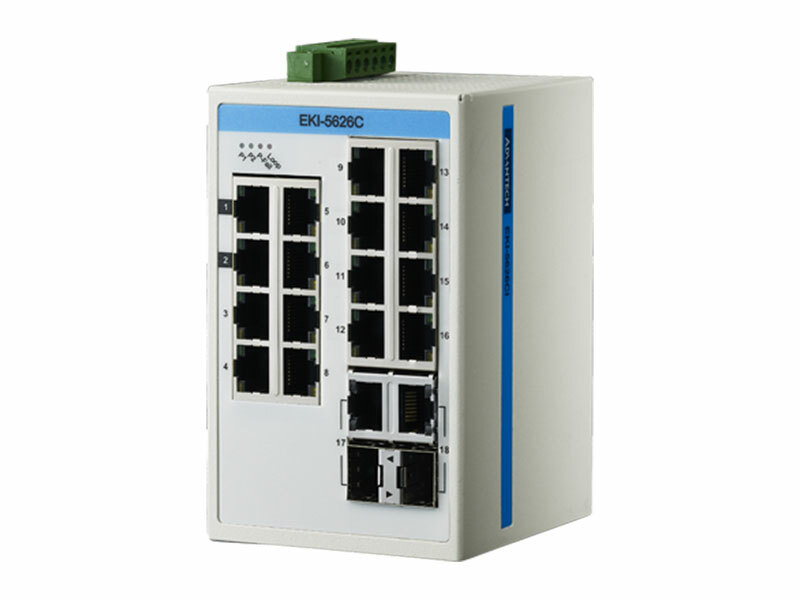 Moreover, Advantech’s managed redundant industrial Ethernet switch utilize X-Ring technology to minimize downtime offering Redundant Ring Recovery with the fastest recovery time (< 20 ms), to increase the reliability and speed of network infrastructures. Advantech’s Redundant Ring Recovery managed switches are an ideal solution for easily managing applications at the central office or local site. 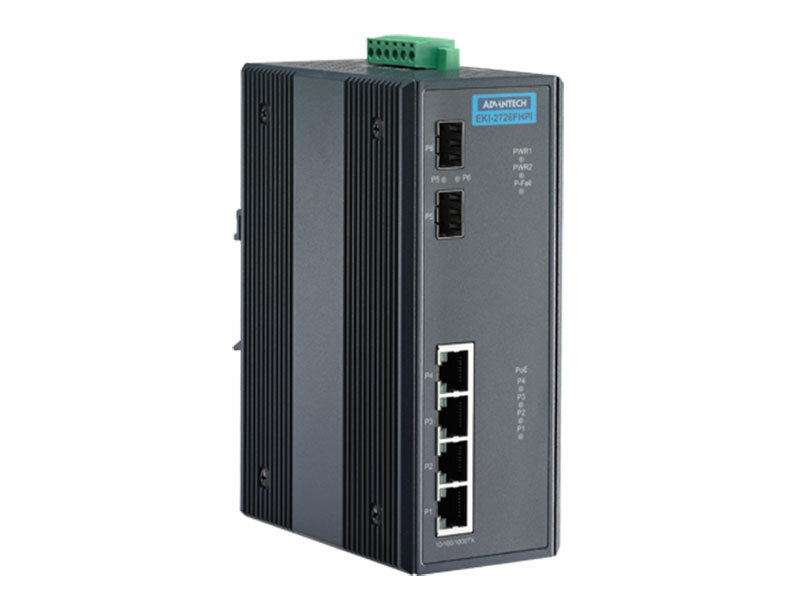 Advantech industrial protocol managed switch products support media redundancy protocols including PROFINET, EtherNet/IP, or Modbus/TCP real time standard. The devices come with a compact metal housing that is IP30 rated to protect against dusty industrial environments. The wide power input power (8.4 to 52.8 V DC ) is dedicated to operating in areas of unstable power and rugged environments. Advantech ProView SCADA manageable series switches are the world’s first convergence switches for process control and IT networking management. 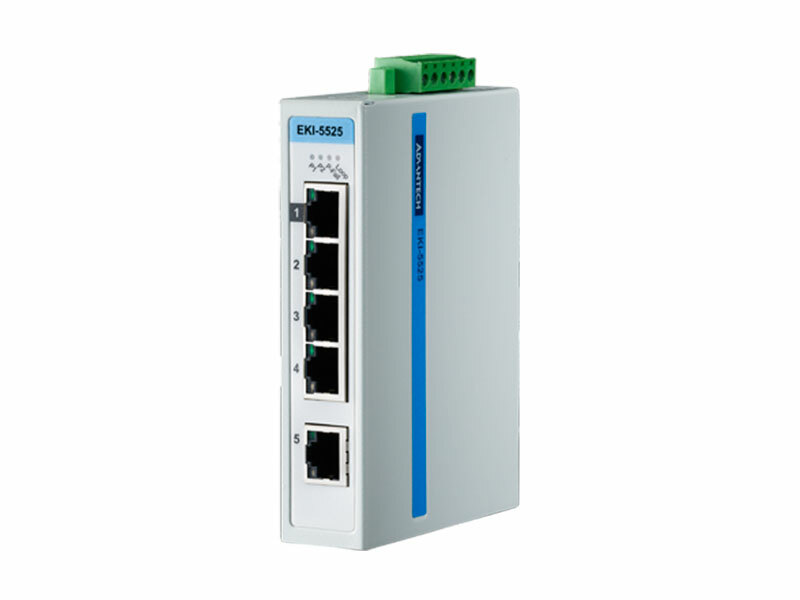 The ProView range of switches uses Modbus/TCP to communicate with the SCADA software and SNMP to communicate with the NMS (Networking Management System) at the same time, thereby allowing full read control over the devices either for control engineers or for IT. 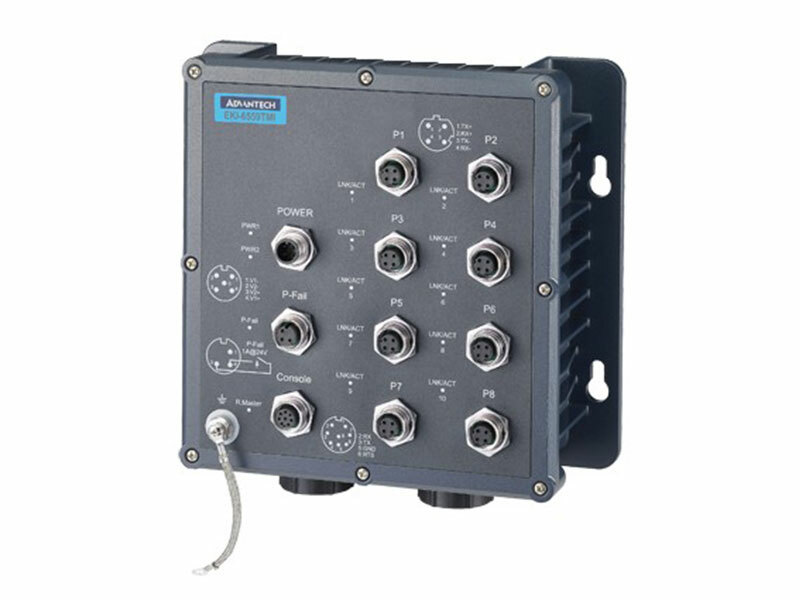 Added by Port-based QoS, Plug-and-Play, and loop detection features, Advantech’s ProView series feature exclusive Modbus/SNMP Convergence to fit your connection needs in rugged environments and enable you to view and manage SNMP &Modbus in one. 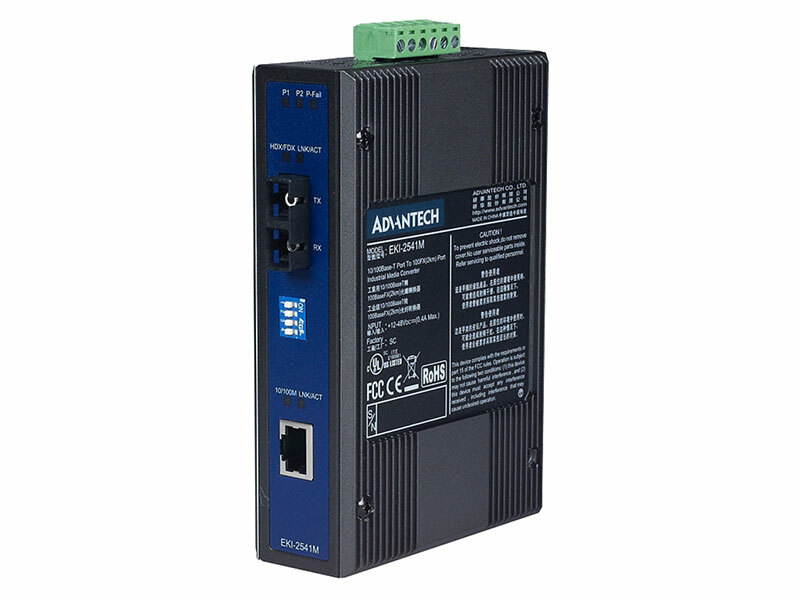 Advantech’s Industrial Ethernet Media Converters are compact and robust devices designed to convert Gigabit Ethernet or Fast Ethernet networks into Gigabit or Ethernet fiber optic networks by transparently converting digital electric Ethernet signals to optical signals. Our Media Converters are also designed to provide internal jumpers for Link Fault Pass-through (LFP) setting. 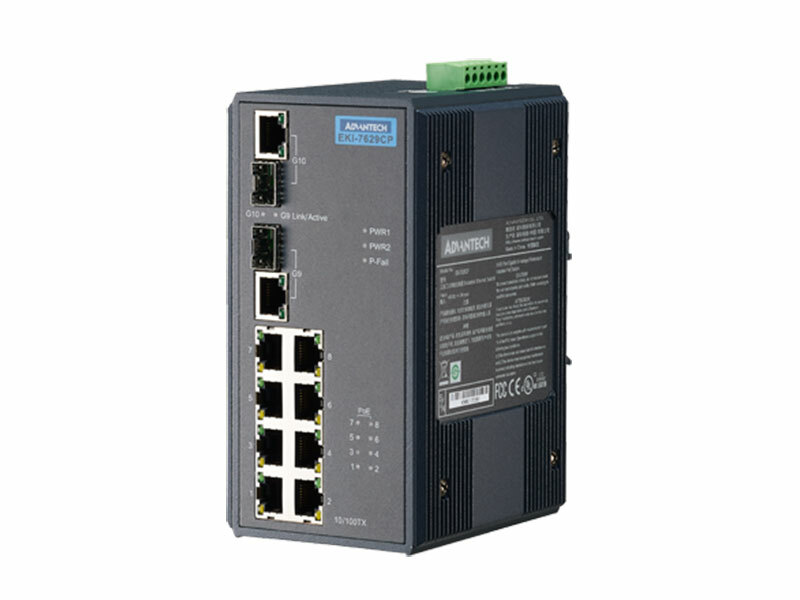 With sophisticated industrial technology, Advantech ensures the reliability of Ethernet media converters for any gigabit Ethernet and fast Ethernet solutions, ideal for fiber-to-building applications at central offices or local sites. 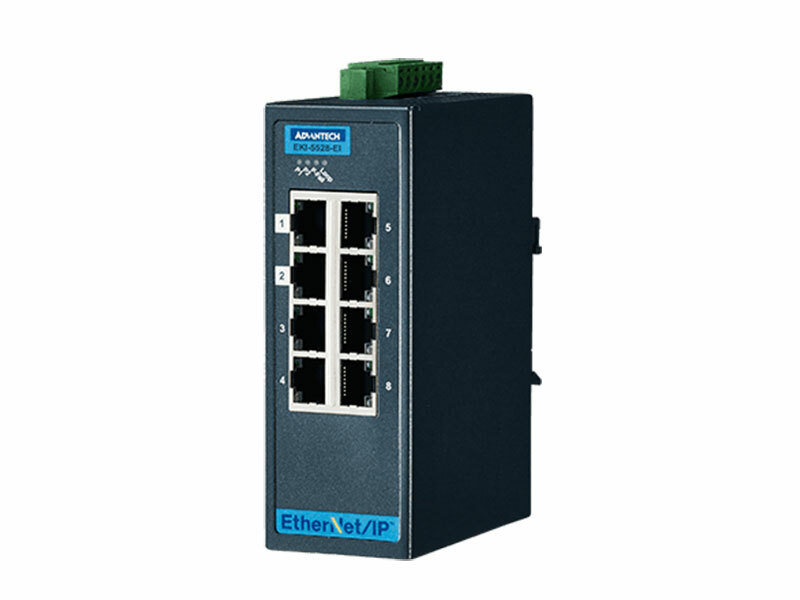 Advantech’s Power over Ethernet (PoE) solutions provide multi ports with PoE injector function with up to 15.4 watts of power per-port, and can be used to power IEEE802.3af compliant devices (PD) through an Ethernet cable eliminating the need for additional wiring. With PoE injector support, all ports are available to help realize centralized power supplies for automation applications. Furthermore, our PoE injector solutions come with compact metal housing that rates IP30 to help against from dusty industrial environments. Advantech’s PoE injector products are easy to install and deliver reliable remote power to your devices satisfying your rugged industrial grade needs.